If you try to kill someone five times and fail, does the intended victim have to at least feign injury? 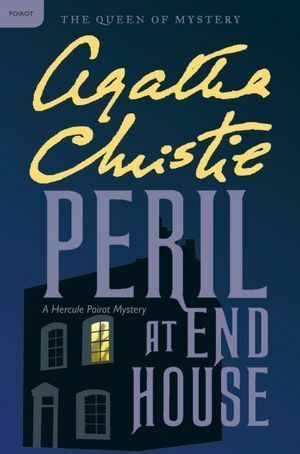 Hercule Poirot the world’s best detective thought he had retired. Then a bullet intended for Nick Buckly lands at his feet. He can’t very well continue to modestly claim the title of world’s best detective if he doesn’t solve a case that literally lands at his feet, now can he? I’ve not previously read any Agatha Christie novels, so it was interesting to galavant off to 1930s England for a mystery. It is hard not to be familiar with the Christie tropes, what with the countless plays, radio, TV, and movie adaptations, not to mention the imitators. But seeing the tropes in their original form was entertaining in and of itself, whilst also grounding a lot of the other works. Recently I had the pleasure of seeing The Play That Goes Wrong. Probably one of the funniest shows I’ve ever seen, and one that wouldn’t have worked without the influence of Christie. That alone probably added to my enjoyment of this novel. And the mystery itself was actually quite well layered. So as long as you don’t mind the slight quaintness of the characters (rich English people from 1930s high society) and the tropes (let’s go to the drawing-room, sit around the log fire, and I’ll slowly reveal who did it) this is well worth a read.